It is an eastward gateway through Covington that has seen its share of ups and downs over the past ten years, but the first block of East Fifth Street is being pushed again by an optimistic City Hall. Three properties are primed for development and the City is hosting an open house on Wednesday for potential developers to take a walk through. The City has also issed a request for proposals from potential developers who could buy one or all three of the buildings. What's at stake: Three mixed-use buildings (11, 18, and 20 E. 5th Street) that the City acquired in an effort to reinvigorate a main thoroughfare through Covington, with quality storefronts and apartments. Developers have until December 19 to submit their proposals to City Hall. What the city wants from developers that offers a proposal is a detailed narrative of the project with an emphasis placed on the elimination of blight, the attraction and retention of business, and the creation of more urban amenities, according to the RFP. The building at 11 East Fifth was slated to become a chocolate shop on the first floor and a residence on the second and third, but that sweet deal turned sour when the developers, the City, and Duke Energy could not come to quick terms over the relocation of a utility box that was preventing facade work. 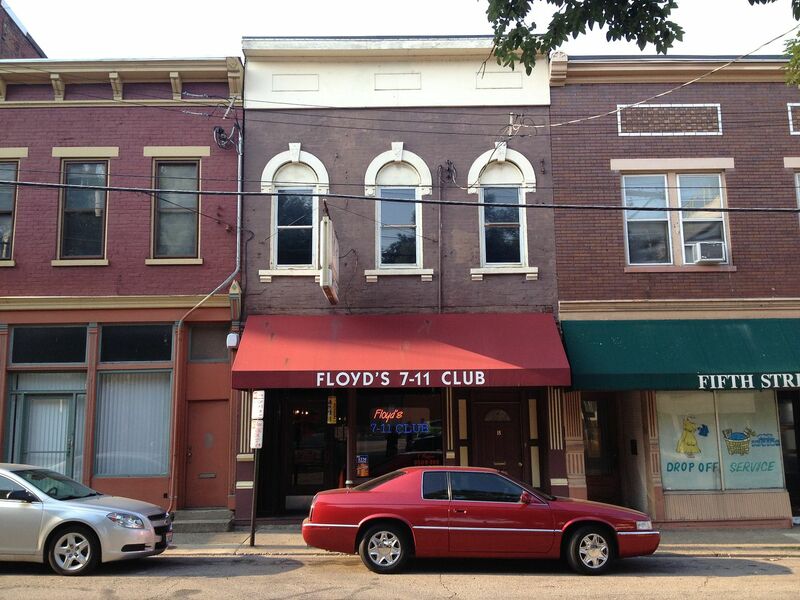 18 East Fifth is currently Floyd's 7-11 Club which the City has an option to buy, while 20 East Fifth is a former laundromat that currently houses the Covington Police Bike Patrol program. Meanwhile, private development on the block includes the addition of Blend, a new coffee shop that operates in the space that in the past five years has been a soup and sandwich cafe, an upscale restaurant, a pizza parlor, and a hamburger joint. The former Greyhound Bus station on the southeast corner is on the market and recently saw its facade get an upgrade. The Grand Ballroom operates in the Odd Fellows Hall where multiple businesses are located. Gateway Community & Technical College also has plans to create Electric Alley, a livened up pedestrian-centric walkway that connects the block to Sixth Street and traverses behind the renovated Marx Building that is now home to the school's Technology, Innovation, and Enterprise programs.